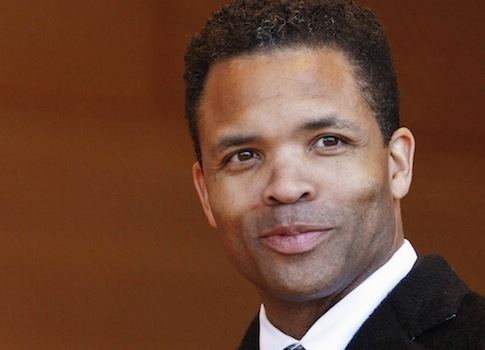 The FBI is investigating Democratic Rep. Jesse Jackson, Jr. (Ill.) for misusing campaign funds "to decorate his home," the Chicago Sun-Times has reported. This case is distinct from the investigation into former Governor Rod Blagojevich for trying to sell President Barack Obama’s Senate seat, the Sun-Times notes. Jackson’s name repeatedly emerged in that case, although he was never charged. This case has been open since before Jackson left the public eye to be treated for bipolar disorder in June. It is unclear precisely which house Jackson allegedly decorated using campaign funds. Jackson and his family primarily live in Washington, D.C., although he and his wife, a Chicago alderman, maintain a residence in Chicago, too. His D.C. home was listed for sale last month, and then promptly removed over security concerns, the Sun-Times says. This entry was posted in Politics and tagged Chicago, Congress, Crime Blotter, FBI, Jesse Jackson, Jr., Rod Blagojevich. Bookmark the permalink.